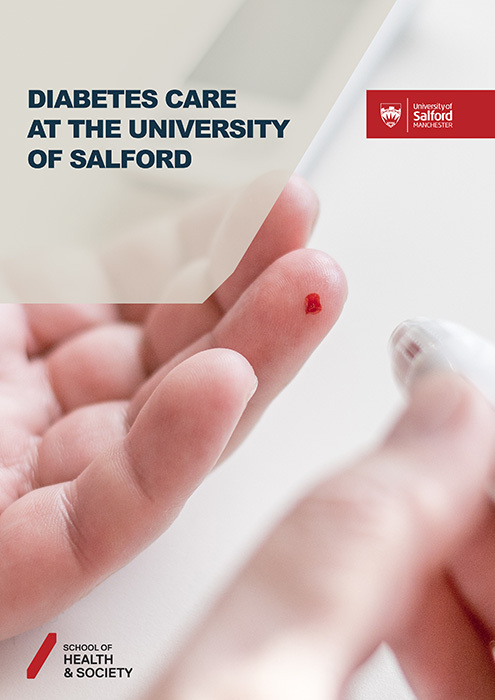 At the University of Salford, 100% student satisfaction* subjects include Exercise, Nutrition and Health, Learning Disabilities Nursing and Social Work, Midwifery, Podiatry. 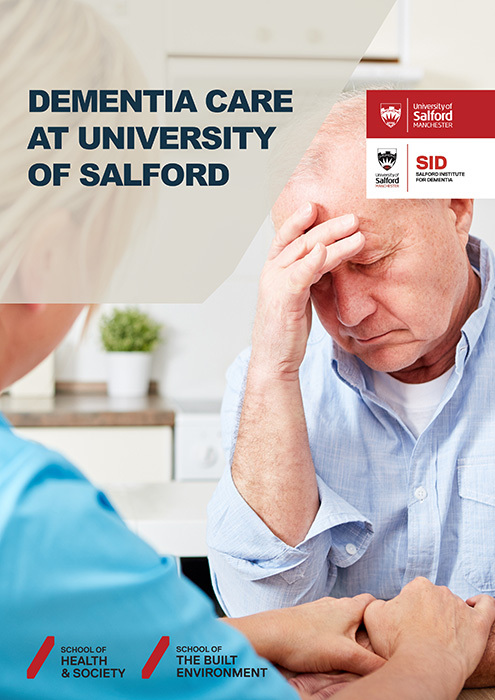 The University is home to the Salford Institute for Dementia and the Dementia Hub, a dedicated space for people living with dementia and their carers, which was launched in 2017. 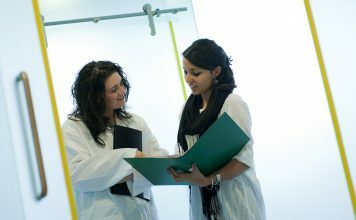 The School of the Built Environment is home to the unique Energy House – the only fully climate controlled research facility in the world. An ‘Immersive Suite’ allows users to be transported to any environment without having to leave the suite. The technology combines a series of cameras which project realistic images onto the walls, combined with audio equipment to transform the space into anything from the back of an ambulance to a nightclub, prison cell or family home. The Human Performance Lab and Strength and Conditioning Suite is a purpose-built state-of-the art teaching and research facility, which contains an extensive range of biomechanical and physiological equipment. 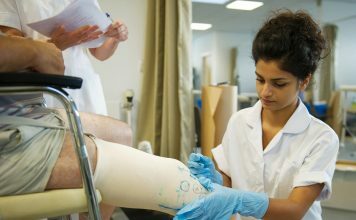 The HPL is primarily used for sport science research and teaching, however also covers a wide-range of sciences such as physiotherapy, podiatry and prosthetics and orthotics. 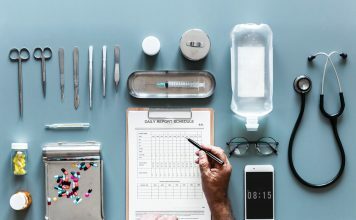 Radiography facilities including two digital radiography x-ray rooms, CT imaging suite and anatomage table for student learning and research. We are one of very few universities in the UK which has a 16-slice CT scanner. MediaCityUK campus is a place “where science and creativity collide.” Located at the heart of six national BBC departments and a mass of independent specialist creative, digital and media organisations, the campus is a space where science and creativity come together to deliver the big digital ideas of the future. 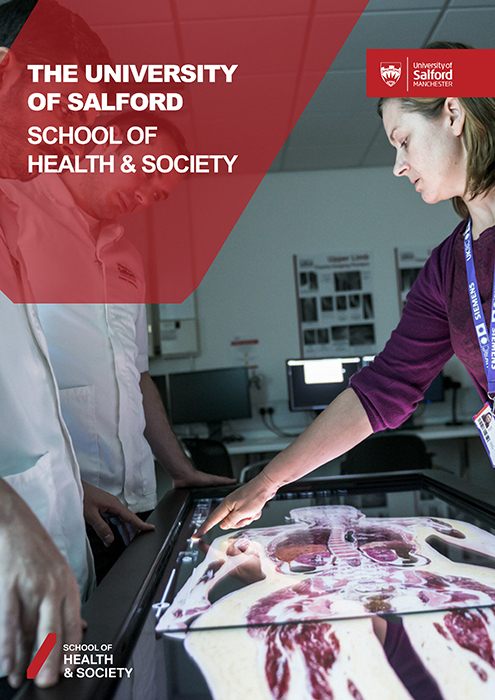 Salford is the first university to be accredited by the UK’s North West Simulation Education Network (NWSEN) for the healthcare simulation suites, which enable students put learning into practice and develop vital clinical skills.